If you are new to blogging or started your journey to make money online, all you need to learn blogging online for free from these top 11 blogs. At initial stages everyone is facing different problems associated with their blogs, such as selecting a best platform or a bestniche. If you are facing different problems regarding to your blog, all you need to learn blogging online from these top 10 blogs. So let's jump to see all those top 11 blogs to learn blogging online. Wpbeginner is run by Syed Balki,he is currently living in United States originally from Pakistan. I personally like this blog, because this site got each and everything to learn WordPress. You will amaze to see the statistics about this site, because it got 5.4 million monthly visitors. If you are a WordPress beginner, all you need to visit this site for more updates, because this site is totally based to facilitate WordPress beginners. You will find majority of articles related to WordPress, themes, guides, tutorials etc. Secondly, you will not find a single ad on this site, because this site is not earning from ads instead it is earning from referral programs, coupons, premium Plugins and sponsored ads etc. 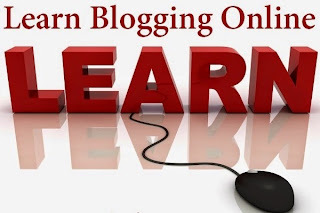 The main topics to learn blogging online includes. Copybloger is another great site to learn blogging. This site is providing solution for content marketers and internet entrepreneurs. A part from solutions, it will guide you to purchase WordPress hosting with SEO tools. This site is mostly discussing issues related to copy-writing, SEO copy-writing and content marketing etc. 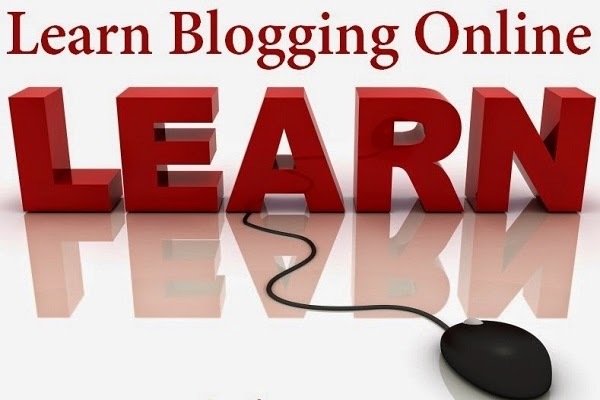 If you want to learn blogging for free, all you need to visit its main topics for more details. Main topics include. Problogger is run by Darren Rowse. He is a speaker, consultant and a blogger at several blogs. This blog contain articles related to blogging, online marketing, make money online, reviews, news and also you can find lots of online jobs on this site. The amazing thing about this site is that, this site is also not earning money through ads like wpbeginner. It's mostly income is generated from eBooks, sponsored reviews, paid articles etc. To learn blogging tips you will find main article on. Dailyblogtips was founded by Daniel Scoco in 2004. His team workers include Mark Zeni as an editor and Ali Hale as a writer. This site is all about blogging tips and make money online. Where you can find articles on blog design, link tips, promotion techniques, SEO, WordPress, blogging basics, monetization, Q & A etc. This is a perfect place to learn blogging and make money online. To learn more about blogging stuff on this site better to serf the main topics as under. John Chow will show you the income power of blogging and how you will live a comfortable life with a blog. This site is mostly focusing on make money online, eBooks, technology, cars, lifestyle, reviews and WordPress etc. John Chow is little bit controversial, because majority bloggers are saying that, he got a tire business and showing fake money online. Anyhow you can get tips apart from its income. You will learn blogging through these main topics. Shoutmeloud is founded by Harsh Agarwal and is an award winning blog in India. You will find tips on blogging, SEO, affiliate marketing, make money online, reviews etc. The second advantage to visit this site is that, it is not running ads to bother you. The blog is earning from affiliate marketing, paid reviews, coupons and paid articles. Main topics covering this blog includes. Lorellewordpress was launched in 2003 and publish 1975 number of articles annual. This site is publishing articles on WordPress, blogging tips, SEO, social media and lots of tutorials etc. I personally like this site, because this site has arranged articles with specific menus, so you don't need to navigate and find articles yourself. If you want to learn blogging and WordPress, all you need to visit this site. The site's main topics include. Bloggingpro is another great site to learn blogging for free. If you want to update yourself with latest innovation and news, all you need to visit this site, because this site is sharing latest news related to blogging and jobs. Secondly, you will find lots of guest articles on this site, through which you can learn a lot. Main topics on this site contains. Performancing is a blog, which is focused on digital marketing and branding needs. Where you can find news and blogging tips on link building strategies, WP themes, Jobs and many other articles on its blog section. If you want to increase performance of your blog, all you need to learn blogging form this amazing site. Which got no of articles on these main topics. Buildabetterblog was launched in 2005, which contain lots of article on blog designing, blog marketing, blog telecasts, blogging tips, free reports, online videos, SEO, WordPress, and on social networks like Twitter, Facebook and Google. If you want to build a better blog, this site can guide you with its blogging tips. Main topics related to this site includes. Bloggerwits.net is a blog, which is all about blogging stuff and make money online. Where you can find tips and articles about Blogger, WordPress, Make Money, SEO, Blogging Tutorials and Blog Designing with lots of Blogger Templates and WordPress Themes. The beauty about this blog is that, each article is podcasted and you can listen instead of reading. Main topics include. I'm working for Footballwood and I can say that most of blogging tips I've learned from ProBlogger and WPBeginner. Yes, If anyone need to learn blogging online, i think they should follow these top blogs. I am also learning more about blogging from pro blogger, copy blogger, shoutme loud and so on. I like them very much! However, Thanks for sharing such kind of an informative post with us! keep it up. WP Beginner is the best in this list. The savior of so many bloggers. Every blogger need to see this amazing article. Great collection and all these blogs are remarkable and has unique concept. Can you also let us know the best blogs which helps with the valuable free tips to earn online with the help of these blogs. Thanks for sharing such a nice post. Your blog is really good. I like your all posts. Keep updating more wonderful posts.